My first CNY Outfit post is up! 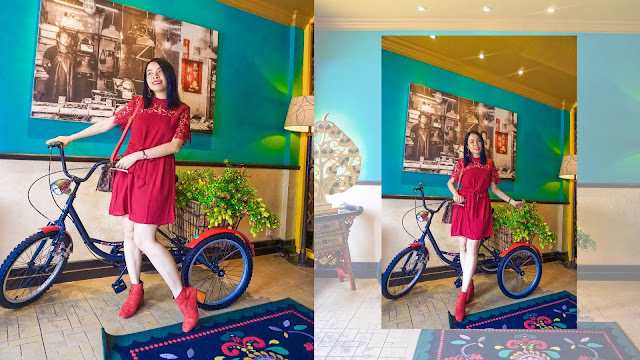 At first, I was thinking of compiling two outfits in one post but since the photos are too much I will blog 1 outfit in 1 Blogspot instead. 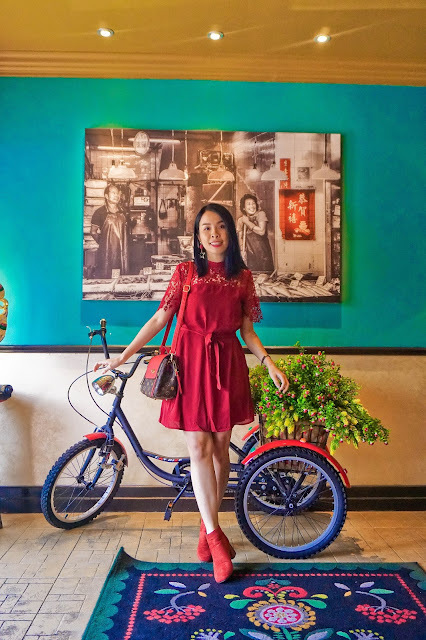 I know that we always think of red for Chinese New Year, so do me. During the festive season, I will be obsessed with getting a red outfit for myself. BTW I am definitely not a red color type of girls, but I guess as we grow our color taste change and eventually I became to love red even more. Red is a color that brightens up your skin tone, you look slimmer and your outfit stands out more too! 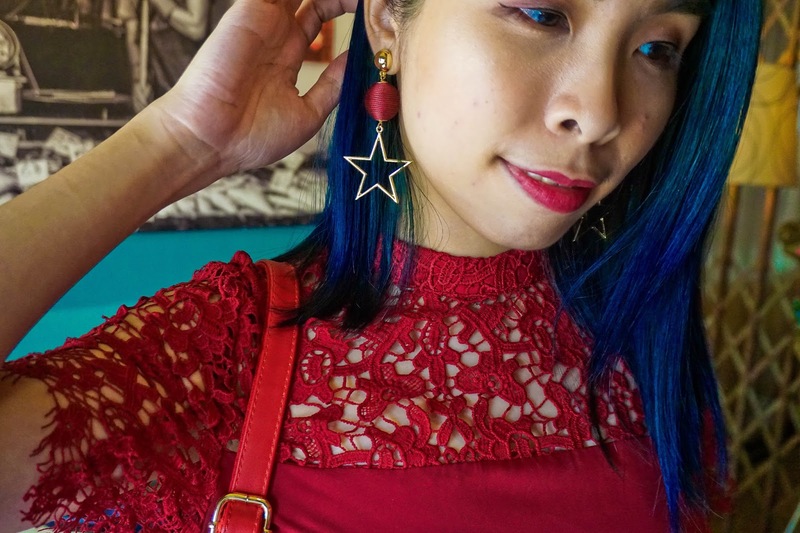 My CNY Day 1 outfit is definitely the reddest outfit I have ever wear out! I did edit the color tone of my pictures, the dress and the boots are actually maroon in color. But it looks red in pictures and I actually saw it was red from Zalora too, and turns out it was in Maroon. Just a really comfy and simple dress design! 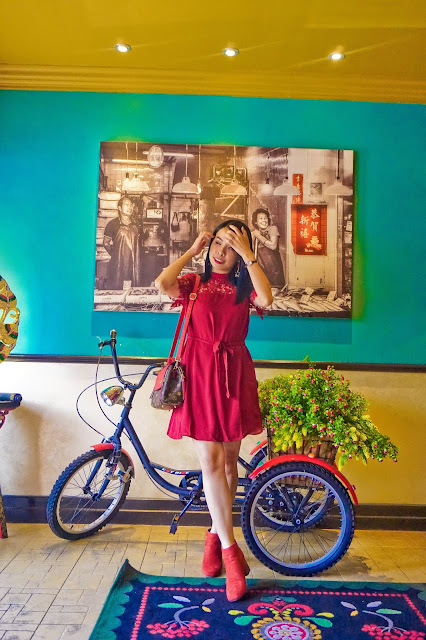 This year I didn't get myself a cheongsam just because I find it was hard to keep wearing it again in the future. A red dress will be more wearable in future events too! 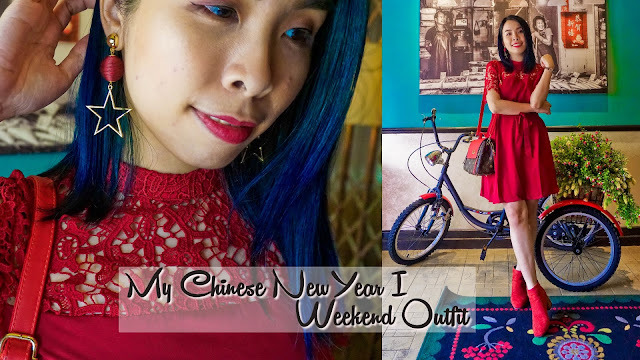 It has a really nice length which is suitable for me to wear when I am with my in-laws since it was my first official CNY with them. The material of the dress is so smooth and comfy too. Close details of my dress. It has really beautiful lace appliques on the top with a really cute traditional Chinese collar! 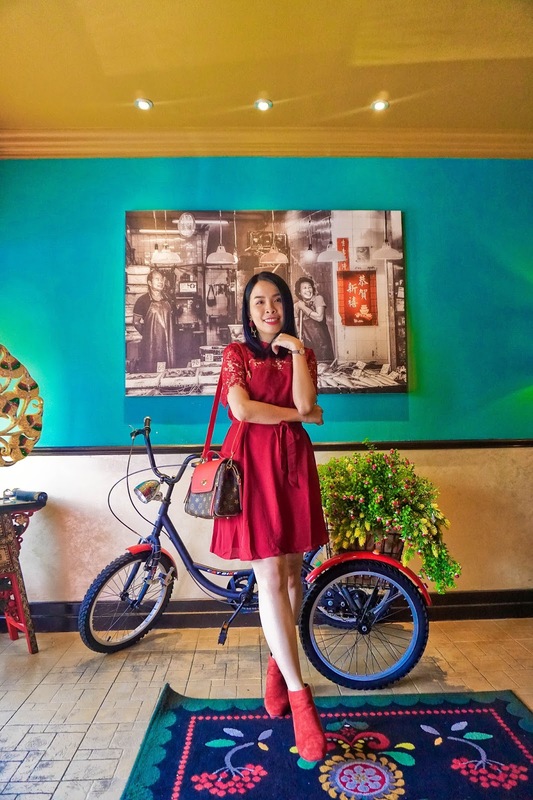 Overall it was a pretty red dress with a pinch of CNY details on it. With its loose design, it came with a ribbon for you to tie around your waist to create a waistline. 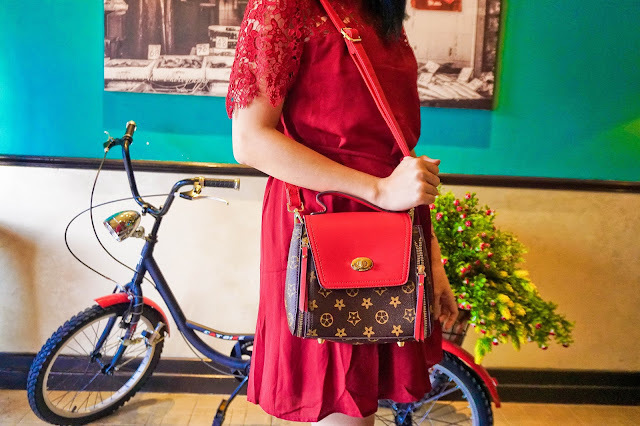 My perfect red bag for this CNY! Although it has the LV print on it, I like the red color contrast of this bag. It was so stand out too! Although it was a small bag, I can actually put in my camera, power bank and even with my mobile phone too. Not forget to accessorize my look with my earrings too! I major love this pair of earring, it was dangling so pretty on my ears. 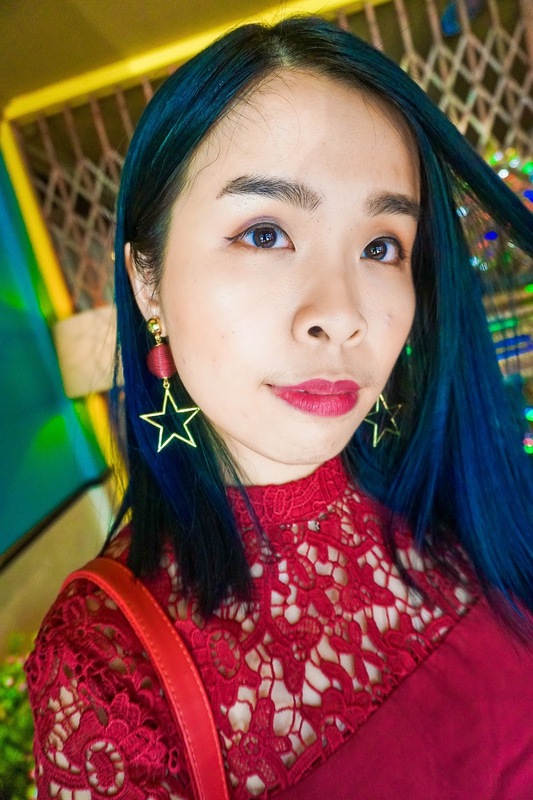 I love the star design of the earrings with the red details. I did a quick makeup video on how I re-create this makeup look too! Very ang ang just according to CNY theme. Love the who coordination, including boots and earrings. Envious that you can get such beautiful stuff from Taobao that fit well! 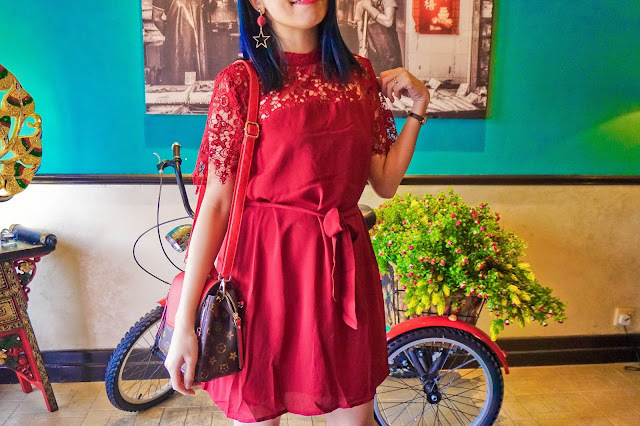 I really love this look for my CNY look!